5 Ways to Exercise During Your Kid’s Practice-Whether you stay at home, or work all day, getting exercise in as a mom can be tough! Sports moms have even less time to incorporate a healthy living routine. If you’re stuck at our kid’s sports practices several times a week, take full advantage of the time! These work out tips can help you find your motivation! It’s a new year, the decorations have been put away, and baseball season is upon us, it’s time to follow our kiddo’s examples and start getting active again! Most of us sports moms have actual lives outside of sports (kidding, sort of), so making time to workout especially after taking a break, can seem impossible, but it’s not! Now that the kids are getting back at it, use those hours during the week that they are at practice, and get out there and work up a sweat yourself. 30 minutes is all you need to get the heart pumping, and in great shape! While my son was at baseball and football practices last year I power-walked the track. This got my heart rate up, and my steps in for the day. Sometimes other moms joined me, and that was a good opportunity to get to know them. Depending on how the track is situated, it can be a great full view of the practice. If you’re up for it, jogging or even running a few laps can burn major calories. So put on some sneakers and make full use of the track, trail, or neighborhood at or around your athlete’s practice. If walking or running isn’t your thing, think a shorter but still a very effective workout like lunges and push ups. Find a spacious area on the field or dirt and do some walking lunges, followed by a series of push-ups. Both will get your heart pumping and tone and firm your entire body. Add some crunches for a full body workout. A stair workout is one of the most powerful exercises to get those legs and glutes in shape. In this case make good use of the bleachers at most practice fields, but a regular set of steps or even a parking garage can work just as well for an interval workout. Go up and down the bleachers, and try skipping steps to add more burn. Power the steps on your way up, resting on your way down. Incorporate lunges, tricep dips, and push-ups for more of a challenge. 2-3 sets of 10 is all you need to get your blood flowing. Yes, stream videos! Everyone has an iPad these days (or you can borrow your kid’s), so download a workout! Beachbody has fantastic 30 minute or more workouts that can be done literally anywhere. Use dumbbells or a more portable exercise band for resistance. Again, find a small open space, place your iPad on a chair, or anywhere that is easy to view and get to working out. This is also a fun one for getting to know the other mamas too. Send out an email or group text and invite them to work out with you during practices. You’ll grunt, you’ll shriek, you’ll even laugh together, but most important, you’ll be working up a sweat together. It’s a sure approach to bond with other sports moms! Speaking of bonding, arrive to practice early to warm up and practice with your athlete. You’ll both benefit from the exercise, and it’ll show your kid’s that you are interested in what they love. If they witness their mom or dad incorporating fitness into their lives, they are more apt to build a habit of establishing a healthy routine in their own lives later on. At the beginning of any exercise routine, take a note from your kid’s coaches and warm up for about 5 minutes. Jog in place, do jumping jacks, stretches, you get the idea. 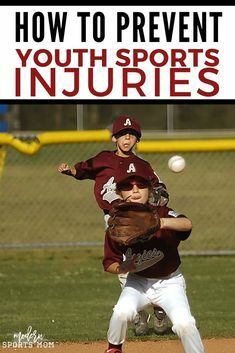 Let’s avoid injuries whenever possible! Be sure to have a watch or keep your phone nearby to keep track of the time, especially if you are leaving the practice field. Have lots of water available, for you and for your child! Keep towels, exercise bands, dumbbells, sneakers and socks, etc. in your trunk for easy access. Wear sunscreen! We slather it on our kiddos, in the same way, we can’t forget about our own skin. Even if just sitting while our kids practice, it’s important to protect our skin from the damaging rays of the sun. Reapplying is equally important, especially after sweating. Keep a first-aid kit in the car or in your bag. Not only will this be useful for your kid, but parents have been known to take the occasional stumble too! Before starting any exercise program, please make sure that your physician gives you the o.k. No more excuses mamas, if your kid has sports practices, you have time for a quick workout! What other ideas do you have for incorporating exercise into your kid’s practice times?